DAVID Warner's already rocky road to redemption will get a whole lot bumpier after Cameron Bancroft's revealing confessions about the ball-tampering scandal in South Africa. Bancroft, who was banned for nine months after roughing up the ball with sandpaper in the third Test in Cape Town, opened up to Aussie legend Adam Gilchrist about the cheating controversy that rocked Australian cricket, divulging what went on inside the dressing room at Cape Town and reflecting on his motivation for breaking the rules. It was widely acknowledged Warner was the ringleader in the operation and while he took responsibility for his actions when he tearfully addressed the media upon returning home from the disastrous tour, he has yet to say exactly what part he played in the darkest chapter of Australian cricket. Last week, Steve Smith was asked exactly what went on inside the Australian inner sanctum when the decision to cheat was being made. Like Warner, he declined to offer specifics, instead saying he failed as captain by not stopping "something" he knew wasn't right. While plenty had already painted Warner as the bad guy in the affair, Bancroft's telling interview will only make it harder for the destructive opening batsman to win back the trust of cricket fans and reignite his career. The happy times came to an unceremonious end for Warner and Bancroft. 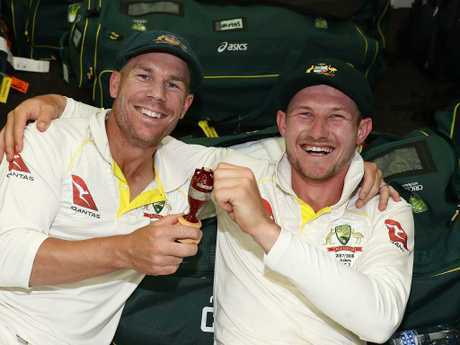 It's been nearly nine months since the ball-tampering scandal and the tide has turned for Bancroft and Smith. Much of the anger towards them in the immediate aftermath of the incident has subsided and you get the feeling they'll be welcomed back when their bans end. For Bancroft, that's on December 29, when he'll be allowed to play for the Perth Scorchers in the BBL. Smith will have to wait three months longer and will aim for inclusion in the World Cup and Ashes squads. But Warner is a different case. Whereas Australia felt for Smith when he broke down with his father's hand on his shoulder, his deputy was accused of trying to score PR points and hiding the truth in an emotional press conference of his own in March. 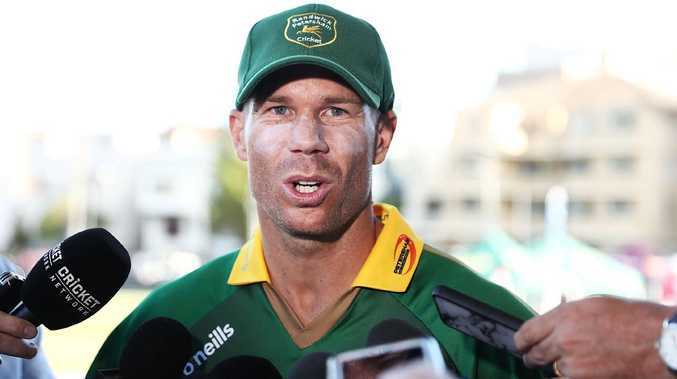 Warner's often ugly on-field behaviour during his reign as Australia's attack dog who was never afraid to dish out verbal stuff to opponents didn't help him win any sympathy either. Whatever doubts or ill will people had towards Warner back then will only intensify in the wake of Bancroft's interview, in which he said unequivocally his opening partner suggested he tamper with the ball. Even though it was already the accepted version of events, hearing the words from a teammate's mouth make Warner's sin that much more jarring. Warner’s comeback trail just got harder. 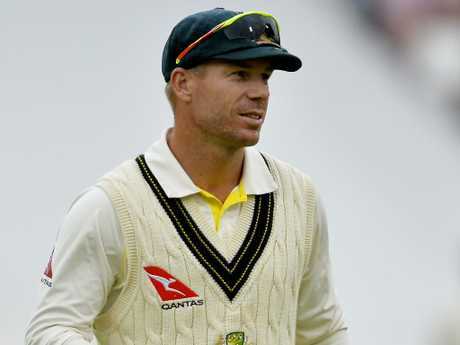 There were reports of tension between Warner and his teammates when the cheating storm erupted and suggestions he had isolated himself from the rest of the squad. He's got three months left of his suspension to serve, after which he'll be hoping to win his way back into the Australian team. It looked like he took a positive step to doing that when coach Justin Langer invited him to a net session this summer where he faced Pat Cummins and Mitchell Starc. But whether he'll be able to slot back in - or what the public backlash will be if he does - given Bancroft's interview adds a spicy new layer to Warner's comeback effort. 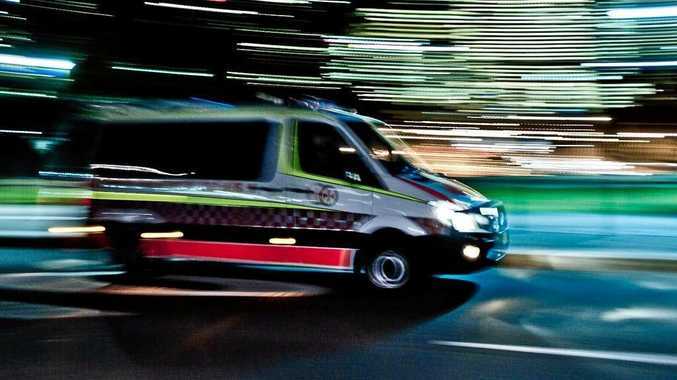 Channel 9 newsreader and media personality Tony Jones told 3AW radio: "Here we have Cameron Bancroft throwing David Warner under the bus. If that's the case, then I don't think we should see David Warner in Australian colours ever again. "He can't play for Australia again, if he's been identified as the architect." Bancroft said he felt compelled to cheat because he was desperate to fit in and feel accepted by his peers. He also said he'd feel bad if he didn't comply with Warner's wishes, because he would think he'd let the team down by ignoring an opportunity to give it an advantage - albeit an illegal one. On those damning revelations, former Test player turned Fox Cricket commentator Kerry O'Keeffe said: "Does that say more about Bancroft or about the atmosphere inside the team culture? I think it says more about (the team), that he couldn't say no to cheating. That atmosphere should never have been able to develop, but it obviously had." Australia's culture came under heavy fire in the wake of the ball-tampering shock and was placed under the microscope in a damning review that found serious issues within the team and Cricket Australia. Bancroft's acknowledgement that he felt pressured to cheat in order to fit in is another glaring reminder of how the country's biggest stars lived in their own bubble. Warner's role in creating that culture will come under question following today's bombshells. So too should Smith's. But Warner will feel more heat because it's been made glaringly obvious he used his power and influence as a senior player - Smith's vice-captain - to push Bancroft into doing something he knew was wrong. Bancroft should have said no and admitted he had only himself to blame - but Warner comes out looking far worse than Bancroft does in his interview. And that will only make it more difficult to enjoy a second coming as an Australian cricketer. By the rules, Warner might be allowed back, but what's the point if fans refuse to accept him?